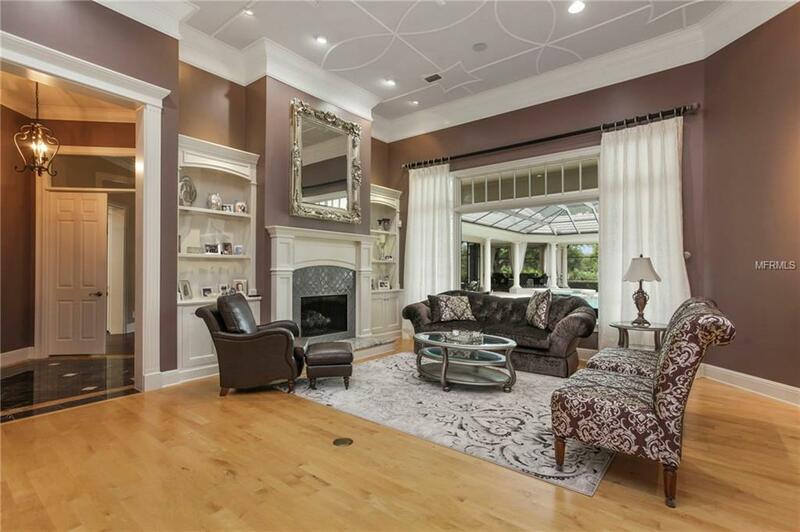 Located along the picturesque third fairway of Lake Nonas championship golf course, this traditional home offers a romantic ambiance & fresh updates. The open floor plan encompasses 5,587 square feet & features five bedrooms, five full & two half bathrooms, including two master suites. 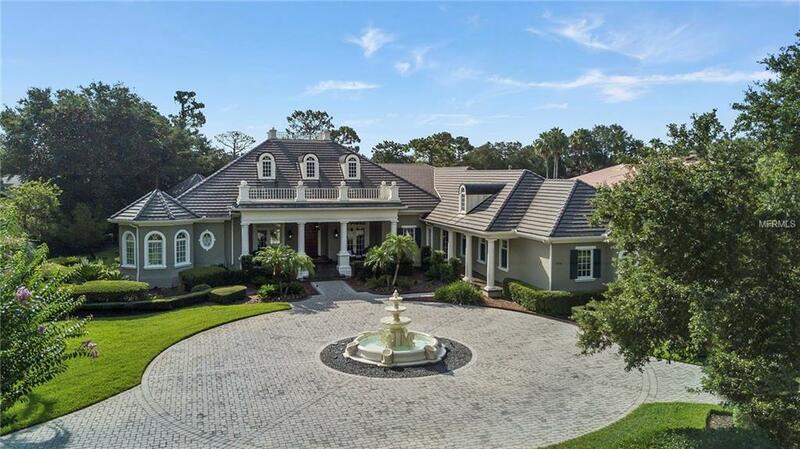 A circular motor court & columned portico entrance creates a grand introduction to this residence. Step down from the raised foyer into a majestic living room enhanced with a striking fireplace, wet bar, & panoramic windows overlooking the homes central feature: an expansive outdoor living space. 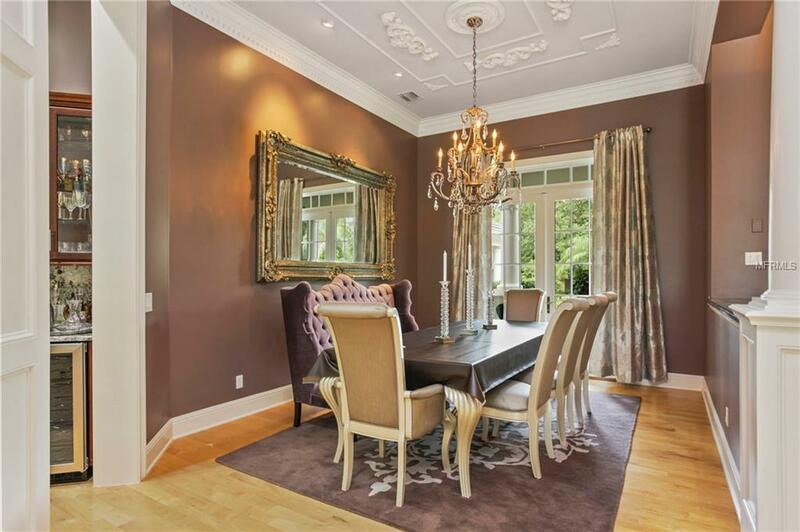 Surrounding the foyer is an elegant dining room & a private study with a coffered ceiling & built-in storage. The family room, with two sets of French doors & windowed walls, provides easy access onto the covered lanai. 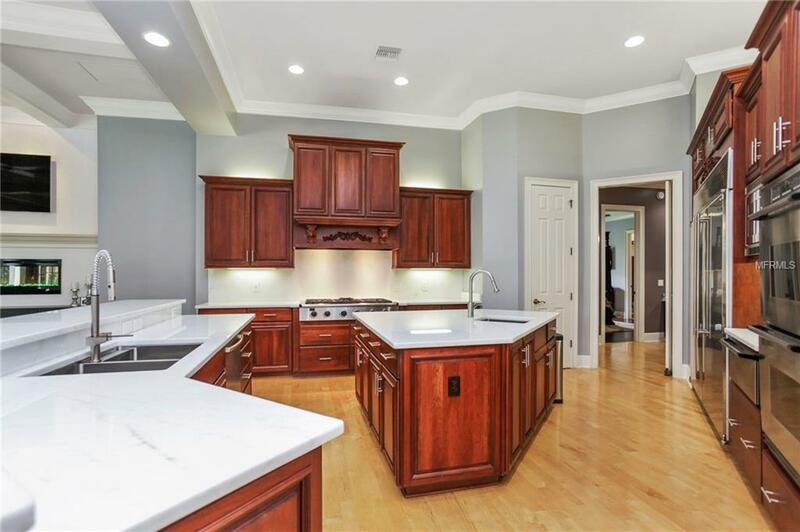 The kitchen features state-of-the-art appointments, including 2 center islands, custom cabinetry, a double oven, warming drawer, two dishwashers, a six-burner gas range, 2 sinks & separate, full-size refrigerator & freezer. French doors open from both of the downstairs master suites onto the magnificent outdoor living area that encompasses more than 3,600 square feet. A classic colonnade surrounds the pool, spa & gazebo with an oversized fire pit. The home site offers a private, landscaped yard with a putting green & direct views of the golf course. Additional features include a summer kitchen, cabana bath, theater with breakfast bar & wine refrigerator & a three-car garage with an air-conditioned storage room.